Earlier we have published Observation Skill Test to count number of lines in the given picture puzzle images. That Observational test was easy. 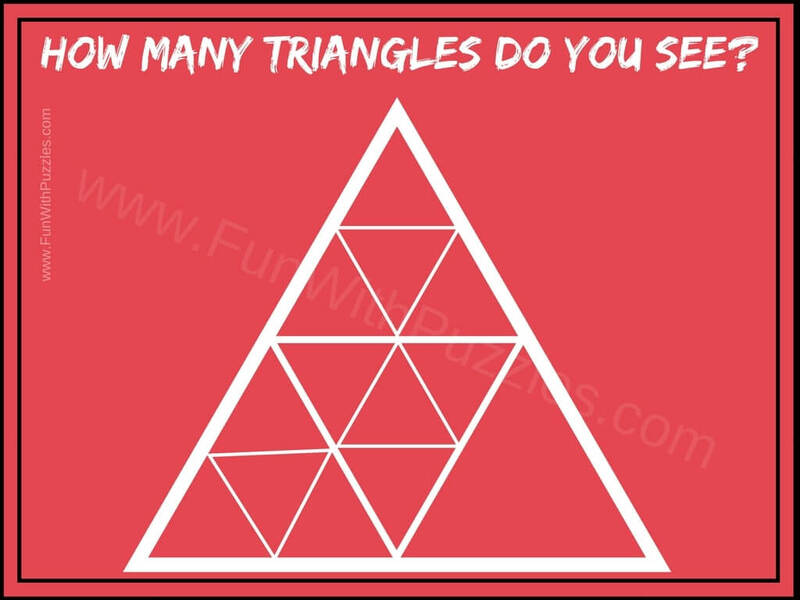 Here is another Observational Skill test in which you challenge is to count number of triangles in the given picture puzzles. These counting the triangles brain teasers has been arranged starting from an easy brain teaser and ending with the tough brain teaser. 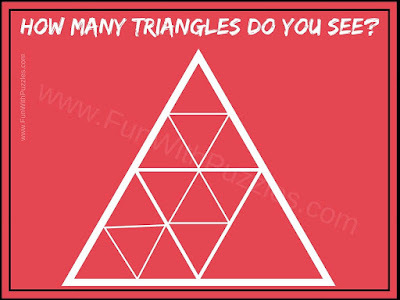 In these brain teasers one big triangle is given which contains another small triangles. 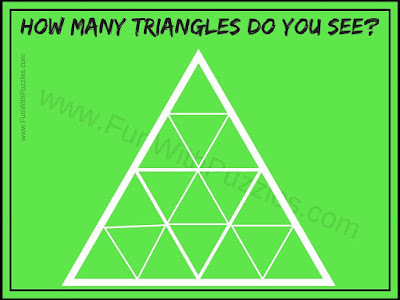 You challenge is to count all the triangles which you could see in total. 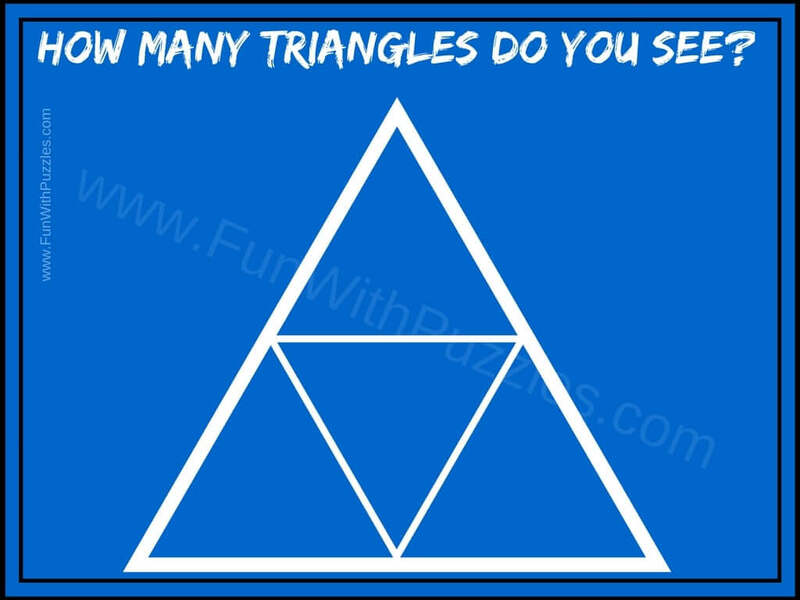 Be careful that there will be many triangles of different sizes hidden inside this big triangle. 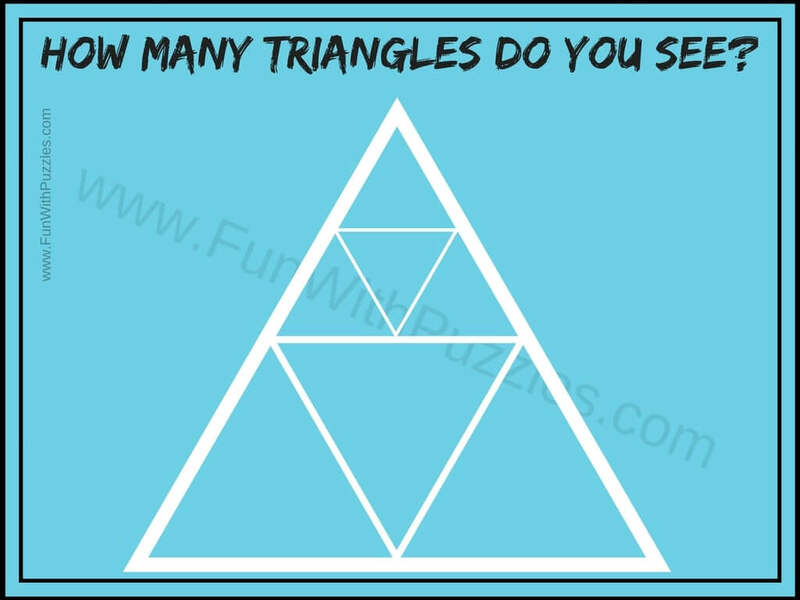 Lets start with the easy triangle counting brain teaser and then slowly move to the tough brain teaser to count triangles. 1. 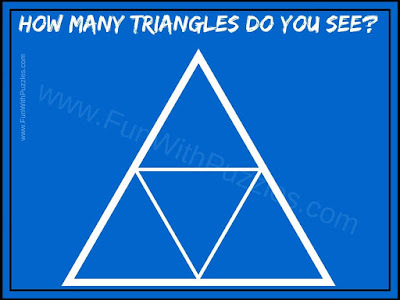 How Many Triangles do you see in this Picture Brain Teaser? 2. 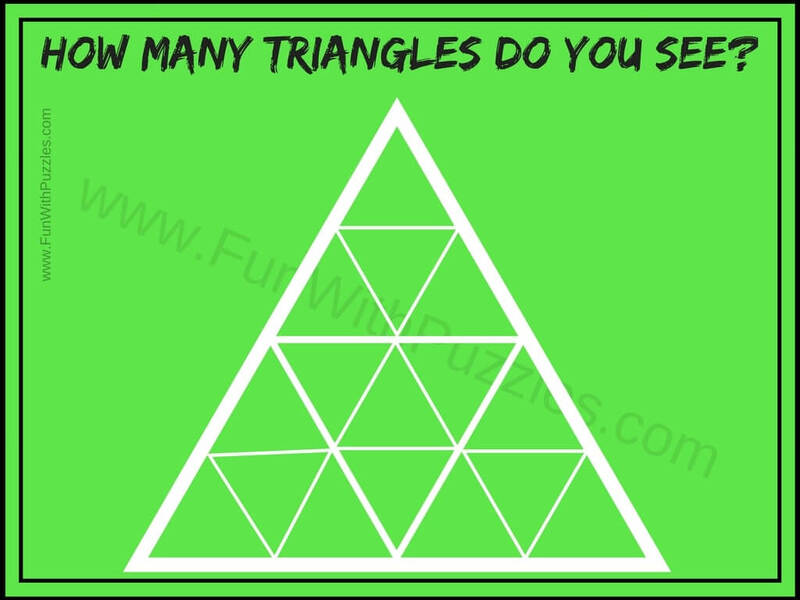 How many triangles are there in this Figure Picture Puzzle? 3. How Many Triangles can you count in this Picture Puzzle? 5. Can you count all the triangles in this Picture Puzzle? Solutions to these Triangles Counting Brain Teasers will be provided later. However post your answers in the comment section and try some more puzzles and brain teasers to give twist to your brain as mentioned below. 1. Picture Puzzles with Answers: Here you can find 5 mind boggling picture puzzles of different types e.g. Finding the hidden animal in photo picture puzzles, finding the Odd One Out and finding the hidden letters in given pattern/photo etc. 2. Fun Picture Puzzles to Test Your Observation Skills: Here you can find 5 mind challenging picture puzzles in which you have to find the hidden animals in the given picture puzzle images. 3. Picture Riddles to Find The Mistakes: In these Picture Riddles, your challenge is to find the mistakes in the given picture puzzle images. 4. Interesting Brain Teasers to Challenge your Mind: Here you can find the mixed Brain Teaser to Challenge your mind.